Unless you're one of the lucky few, you may well have considered hair removal before. For many, the dream of having hair free legs, arms or underarms and slipping into a summer sundress without worrying about shaving or waxing is a very real one. 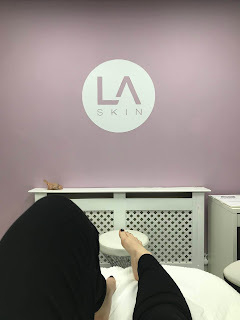 I was lucky enough to be invited to try out a course of three laser hair removal sessions at LA Skin, Harborne. 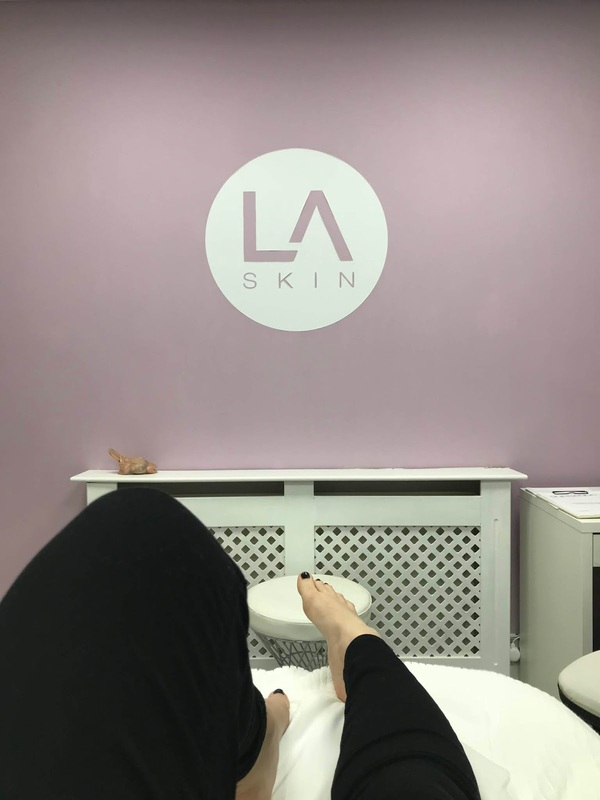 At LA Skin, they use Soprano Ice Platinum, the most advanced laser hair removal machine available on the market. The machine uses three different wavelengths to target the hair at three depths, making it more effective than other machines which use just one. It also makes is suitable for use on more skin types including darker skins. Described as virtually pain free, a special cooling gel is applied to keep the skin cool and comfortable during treatment. A course of six treatments is usually recommended, because hair grows in cycles and only 10-15% of hair is in the growing cycle at any one time. I'll be posting throughout the experience and keeping you updated on my progress, but for now, here's my first thoughts. 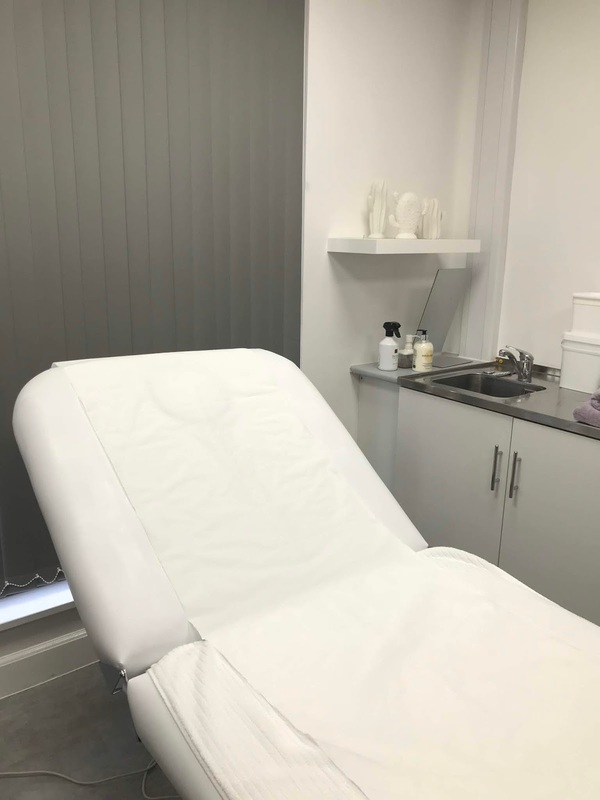 Located in Harborne, I parked up and headed to Knightlow Fitness Studio where the clinic is based and was welcomed by Poonam. Heading upstairs, the treatment took place in a calming space that looked like any other beauty therapy room; clean, serene and dotted with candles and calming trinkets. After chatting to Poonam, I filled in the consultation form which asked for some details around my health to check my suitability for treatment and headed to the couch. I decided to treat my underarms and after turning on the machine, Poonam applied gel to the area and decked me out in a visor. The machine head was then run over my underarms in a series of quick movements and the whole process took minutes. Although it did feel warm, I can honestly say I didn't feel any pain at all. The process was repeated on the other side and after the gel was removed, that was the end of the treatment. The whole process was quick, easy and pain free. I booked in for my next treatment four weeks later, and really look forward to seeing a difference between the first and third session. Have any of you tried laser hair removal? How did you get on? The opening of The Ivy, Birmingham, is one of the most exciting to happen in the city this year. Located on the former Louis Vuitton site overlooking the Cathedral and park, we’ve been longing for the opening of those iconic green doors. I was invited to an exclusive blogger brunch in the private dining room, the Spencer Room on the opening weekend. Walking into the reception area, guests are greeted in the hallway before being able to pass through to the main restaurant. Here, you’ll be given a wait time or told if you can head straight through. The bar is the first thing you’ll notice, a chic little hotspot for cheeky drinks and rendezvous. From here, there is a ground floor seating area, leading up to a mezzanine space, which overlooks Fumo. If you continue up the stairs, you’ll find the private dining room. Beautifully laid out and ready to host any number of formal occasions and celebrations, the room is large enough to seat around 20 guests. The corner houses a very photo ready backdrop of a large palm, two stunning blue velvet chairs and a side table. The walls are adorned with botanical art, mirroring the lush green of the park it overlooks. The lighting is spectacular, overflowing with natural light from the windows. Onto the food and service, as soon as I sat down I was attended to with an offer of a drink. Between Beet It Juice (beetroot, carrot and apple) and Green Juice (avocado, mint, celery, spinach, apple and parley), I chose the former. There was also a selection of pastries, which I declined on the basis that they weren’t gluten free, but I did enjoy some tea whilst I picked from the menu. We were offered a selection of treats from the breakfast menu, including hot buttermilk pancakes, avocado tomato and sesame on toast, eggs royale, eggs benedict, avocado on toast or coconut yoghurt with berries. Had I been in the mood to count calories, I should have opted for the yoghurt. However, I picked the Eggs Royale on gluten free toast instead. Everything miraculously arrived at the same time, and was gracefully served to the table so that we could start papping each others meals quickly before eventually digging in. My Eggs Royale did of course look different to everyone else’s as it came on gluten free toast and not a muffin. It was however, delicious. The salmon was fresh and plentiful and the Hollandaise sauce was tasty but not too heavy or overpowering. We then had an opportunity to sit and chat around the large table, and make use of the beautiful lighting to take pictures by the window and in the “made for instagram” chair corner! Overall, I cannot fault the service and experience at The Ivy, Birmingham. 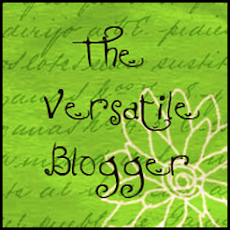 The service was polite but friendly, and exceptionally professional. The food itself was good quality and not at all overpriced compared to what you’d expect to pay for a similar meal in any of the city’s many brunch spots. For me, the stand out element of The Ivy is not just the perfect service, but the beautiful interior. I would describe it as an Art Deco jungle, with metalwork, art and plenty of greenery, it’s a very chic jungle in there. I can’t wait to go back, in fact, I already have. Itihaas has a reputation as one of Birmingham's best Indian restaurants. Situated on Fleet Street, right in between the city centre and the Jewellery Quarter, the restaurant has a prime corner position. Although I have been here once before, and still lament the loss of Itihaas's Selfridges Birmingham outpost, I was invited back to try out the new menu with a host of Birmingham Bloggers for a feast fit for royalty. We were lucky enough to visit on a fairly sunny day, and we met at the reception where there are plenty of plush leather sofas to lounge on and drinks ready and waiting to be served at the bar. I was taken by this giant bottle of Chivas Regal, and realised quite quickly that they have a plentiful selection of whisky available. Moving downstairs, which happens to be where the private dining area is located, we sat in the main restaurant banqueting style. Before we did so however, we were treated to plenty of canapes such as Lamb Parantha, Alloo Tikki Channa Chaat and Salmon and Goat's Cheese Samosa. Unfortunately, none of these options were gluten free, but the staff were incredibly kind in making me my very own canapes that were gluten free! I really didn't expect the team to go to so much trouble for nibbles, especially since we were about to sit down and eat, which just goes to show how excellent the staff and service is at Itihaas. We were also able to sample a delicious grape based cocktail. Onto the meal, we took our seats and were regaled with stories of rum and brandy by Yves, the drinks ambassador. The Soft Shell Crab Pakora appetiser was quickly brought out, but sadly was not gluten free. Instead, I was served Chicken Tikka and Lamb Chops, a meat lovers paradise! The chicken pieces were huge, nicely browned at the edges, soft and juicy, and served with a lovely Raita. The Lamb was again, charred at the edges to bring out the flavour, and still soft inside. This was served with our first drink, Bonpland Rouge VSOP Rum over ice. Next, onto the actual starter. For everyone else, this was a Reshmi Lamb Tikka, Chargrilled Salmon Fillet and Salmon and Seabass Fish Cake Tikki. For me however this was a Chargrilled Butterflied King Prawn, Chargrilled Paneer and Lamb Sheesh. Again, the Prawn was a huge size, as were all of the portions! The flavours were all chargrilled, which I prefer as it adds some depth, and the lamb was again, soft and tender. The flavours were spicier than I was anticipating, but not enough to overpower. The main course was served at the table, with plates and plates of food arriving at the same time. First up, the Chicken Biryani, served with a choice of three dips, raita, chutney and a onion and tomato raita, ceremonially served in a silver pan. Next up was the Jaipur Lamb Tikka, Methi Murgh Mirch, Goan Lobster Curry and Tandoori Soya Tikka Masala. This was all served with Truffle Oil and Poppy Seed Naan and Chilli Naan. Again, my gluten free meal was slightly different, with a different Chicken Biryani brought out to the table along with a chicken curry and lamb curry. The cocktail of choice that was served alongside the main course was an Old Fashioned JM style using JM VSOP rum and JM Shrubb orange liqueur. This was delicious and I'd definitely order it again. Of all the gluten free dishes, the Biryani was my absolute favourite. I could eat this every day, it's not too heavy, but full of flavour and a mix of meat and rice, making it a whole meal in one dish. Finally, it was time for dessert. For the others, this was a choice of a very unusual Gajar Halwa Cheese Cake or Mango Colada Slice. For me, this was my absolute favourite Indian dessert, a classic Gajar Halwa. Nobody else seems to like this dessert, but for me, it's just the right amount of sweet with a great texture that's not too smooth and not too crunchy. Overall, I was impressed with everything from the food to the service at Itihaas. 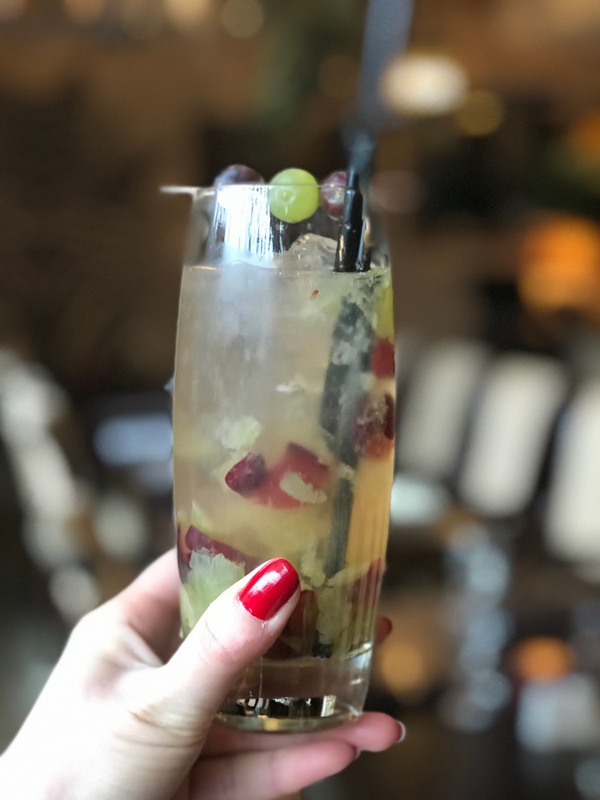 The hospitality here is always spot on, with a warm welcome and a "nothing it too difficult" attitude that makes dining a delight, especially if you have dietary requirements. Would I come back again? Absolutely! I'd come back for my two favourite dishes, a Biryani and Gajar Halwa dessert, washed down with a cheeky whisky. *With thanks to Itihaas restaurant and Delicious PR for the complimentary meal.